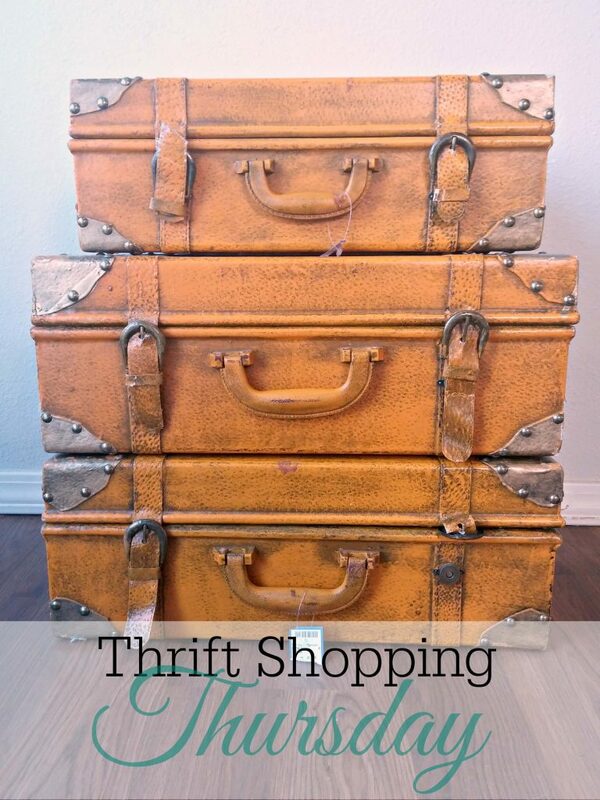 A while back, I featured this set of vintage suitcases on my Thrift Shopping Thursday post. I picked them up at a store called Turnstyle in Minnesota when I was visiting my mom (waaaay back in February!). I had been looking for something to jazz up my plant ledge. It was pretty plain and sad looking. My mom spotted these suitcases and thought that they would be cool, but they were an ugly mustard color. After a brief moment I realized I could paint them. I figured since they would be up high, and not being touched a lot that I could paint them and not worry too much about the paint chipping. First I tried some acrylic craft paint. That was a disaster. It wasn’t giving good coverage and the finish was flat and awful. 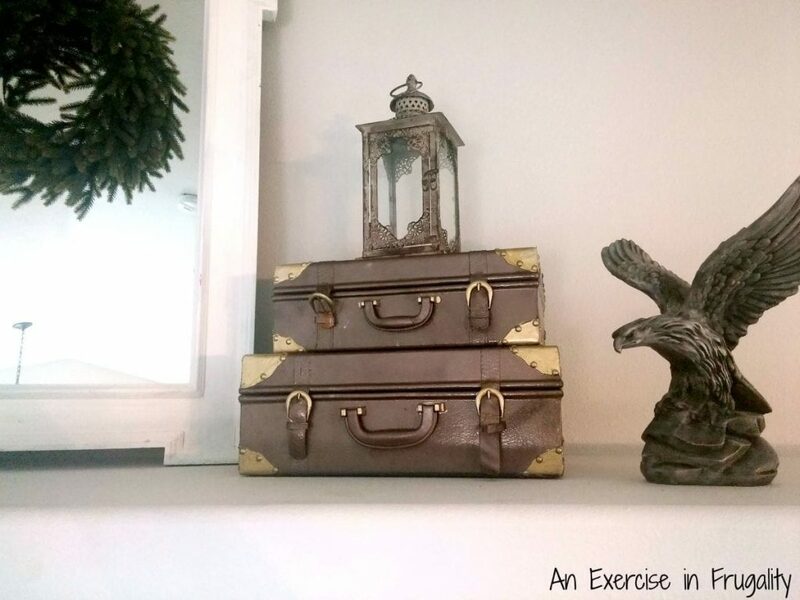 Then I decided on a whim to try some “hammered metallic” brown spray paint. From far away, the “hammered” look also kinda sorta looks like leather. 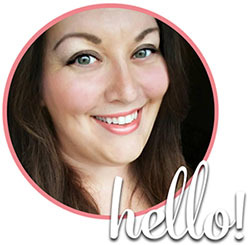 I’m not sure how well it would work if you were using them up close but for something like this, it works perfect. For the gold accents I used a simple gold metallic paint pen. Easy to handle and work with and again since these were going to be displayed and viewed from a distance I didn’t have to get TOO terribly intricate with the details. Overall I’m pretty happy with how they turned out! I think they add a great touch to my ledge. I haven’t finished styling my plant ledge decor “vignette” just yet, but it’s getting there. 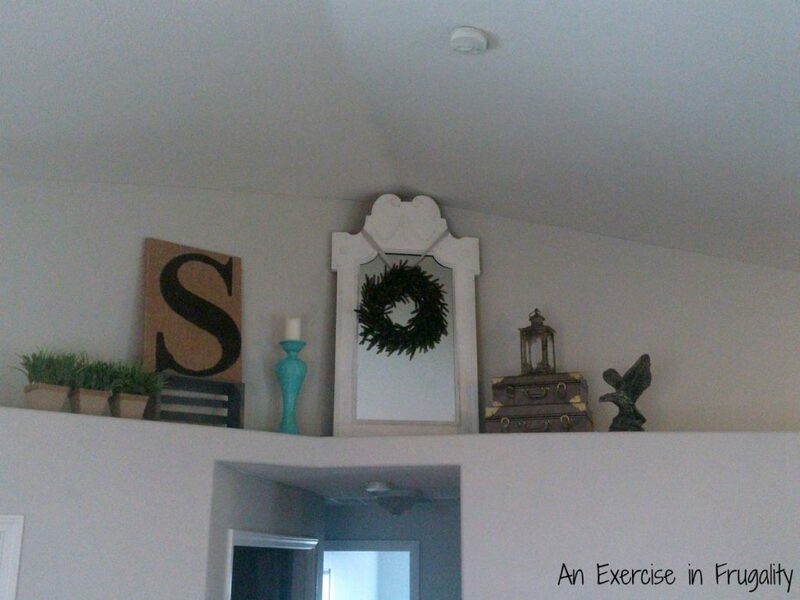 The mirror you see is actually the reverse side of our wedding program chalkboard. It was a $15 Goodwill find that I transformed into our wedding program. 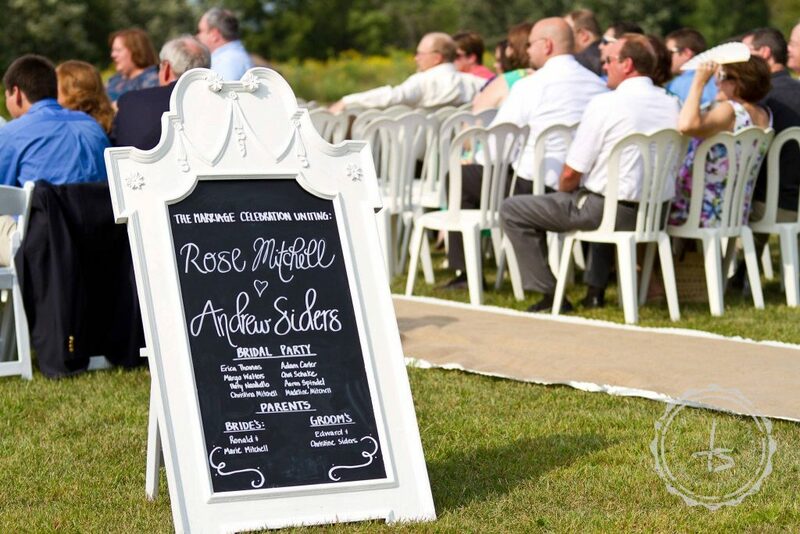 We used a paint pen instead of chalk on the “chalkboard” side so the writing is permanent, but I flipped it so that the mirror side is displayed. Its nice to have this sentimental keepsake in our home! Stay tuned for another post, where I will share with you all the details of our styled plant ledge decor once I have it finished! 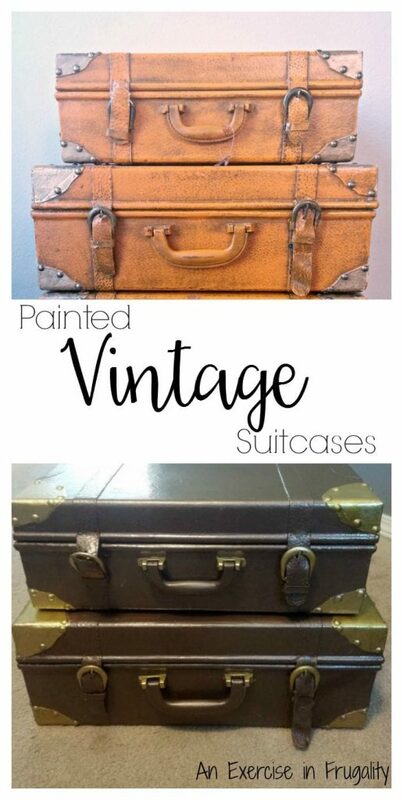 What do you think of these painted vintage suitcases?